A Left-wing new historian Israeli take on the history of transformative year of 1967. He posits that the threat that Israel felt from their Arab neighbors leading up to the war was actually overblown. A history of Palestinian Arab citizens of Israel. Sayed Kashua is a Palestinian Arab Citizen of Israel, famous as one of Israel’s best Hebrew writers, who has a unique identity as both Palestinian in heritage and Israeli in ID card. The main character in “Dancing Arabs” moves between the two societies, feeling alienation and a profound desire to be accepted. An account of the history in the region of the Middle East, including Israel-Palestine. DIscusses the transformative changes in the Middle East, through the Arab uprisings in the most recent edition. “History of the Modern Middle East” is mostly a political history, but also offers economic and cultural perspectives. When the Ottoman Empire fell apart, colonial powers drew straight lines on the map to create a new region — the Middle East — made up of new countries filled with multiple religious sects and ethnicities. Syria, Iraq and Lebanon, for example, all contained a kaleidoscope of Sunnis, Kurds, Shias, Circassians, Druze and Armenians. Israel was the first to establish a state in which one sect and ethnicity dominated others. Sixty years later, others are following suit, like the Kurds in northern Iraq, the Sunnis with ISIS, the Alawites in Syria, and the Shias in Baghdad and northern Yemen. The rise of irredentist states threatens to condemn the region to decades of conflict along new communal fault lines. In this book, Economist correspondent and New York Review of Books contributor Nicolas Pelham looks at how and why the world’s most tolerant region degenerated into its least tolerant. Martin Indyk writes a memoir based on his experience as Middle East adviser to President Clinton, and two-time U.S. ambassador to Israel. He describes different decisions made in Iraq and Iran, and discusses Israeli-Palestinian negotiations under the Clinton administration. British popular historian chronologically tells the story of the mythical city of Jerusalem, weaving together various accounts, including secular and religious narratives. A guide to every day peacemaking. A narrative and personal historical piece by one of the most influential Zionist Jewish journalists in Israel. It examines many chapters of Israeli history, including its formation. It has become widely read in the United States since its publication in 2013. Breaking the Silence is an Israeli NGO comprised of former soldiers who speak out about their experiences serving in the Israeli army. “Our Harsh Logic” is a harrowing collection of the testimonies of soldiers who served in the Gaza Strip or the Occupied Territories that gives a sobering account of the Israeli military system and the mundane reality of being a soldier in challenging situations. Rashid Khalidi, a Palestinian American academic, writes a core text on Palestinian nationalism and its origins. He makes the case that Palestinian identity has a longer history than Zionist intellectuals give it credit for, and he underlines this in historical events and their impact on Palestinian national identity. International mediator, John Paul Lederach, looks to moments of conflict in the scriptures in order to offer tools for reconciliation and transformation to our modern day conflicts. A novella about a Palestinian family who fled Haifa during the Nakba and were allowed to visit with the opening of the borders in 1967. In their former home, they find that a Jewish couple who came after the founding of the State of Israel are living in their home. Ghassan Kannafani was a Palestinian author and member of the PFLP and was assassinated by the Mossad in Lebanon. Israeli informant from Gaza, Mosab Hassan Yousef, son of Hamas leader, Sheikh Hassan Yousef, writes a tell-all about his life and how he was groomed by the Israeli secret service. During his time in Gaza, he experienced a process of disillusionment when it came to the Hamas party and his more positive impression of Israel and the West. A seminal book by an American Jew and an American Israeli that celebrates Israel’s economic successes. Despite the effects of conflict, Israel functions with high-tech and industrial output on par with the United States or China. This book was acclaimed by both the New York Times and Wall Street Journal. Mahmoud Darwish is Palestine’s poet laureate. Originally from the Galilee, and banned from Israel when he joined the PLO, Darwish writes often about exile and longing for homeland. “The Butterfly’s Burden” is a bilngual collection of his work, written in Modern Standard Arabic and translated to English. A right wing American Jewish response to criticism about the State of Israel from a Harvard Law professor. Each chapter is broken down into the accusation and the reality on a commonly discussed contentious topic concerning Israel. This book is representative of an influential portion of American Jewish opinion on Israel. 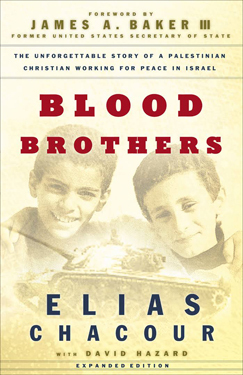 A compllation of first hand sources that tell the story of the Israeli-Arab conflict. Key American negotiator, Aaron David Miller, tells the history of the peace process, evaluating its strong and weak moments. The book includes interviews, insider experience, and stories from the negotiations table. Drawing on his twenty five years of groundbreaking research on moral psychology, Haidt shows how moral judgments arise not from reason but from gut feelings. He shows why liberals, conservatives, and libertarians have such different intuitions about right and wrong, and he shows why each side is actually right about many of its central concerns. In this subtle yet accessible book, Haidt gives you the key to understanding the miracle of human cooperation, as well as the curse of our eternal divisions and conflicts. Left-leaning Israeli journalist and historian Gershon Gorenberg writes about the settlement movement and its adverse effect on Israeli society. Gorenberg is of an American Jewish background, and continues to practice Orthodox Judaism in Southern Judaism. He sees the settlement enterprise as an existential threat to the state of Israel and describes a remedy to this entrenched problem. David Grossman is one of Israel’s most famous authors and has spoken out publicly as a Left-wing activist. “The Yellow Wind” is a non-fiction first-account of what David Grossman saw in the West Bank. It explores the cost of the occupation both for the occupied and for the occupier. A BBC mini-series that tells the fictional story of Anglo-Israeli Baroness Nessa Stein, heir to the family business, and striving to create economic peace between Israelis and Palestinians. A documentary about an all female Palestinian racing team, the difficulties they face in their political, and the freedom they find in racing. Follows the lives of five Israeli sodliers. Chronicles their perspective on military service and how it impacts their lives. Browse additional online material by selecting the categories or difficulty levels below to show resources from different perspectives. Download the ‘Sharing Your Story: A practical guide’ here. As if we could just eloquently summarize a transformational experience that dove head-first into one of the most contentious issues on the planet. But alas, we do need to give them an answer. And not only that, we actually have a responsibility to share our story. Because our story has the potential to change lives – we know this because it has already changed ours! Our stories contain elements of the ‘other’ that challenges negative stereotypes and counters single narrative mindsets. Because our story is intimately tied to the narratives and experiences of our friends in Israel/Palestine. And where their voices cannot be heard, it is important that we speak into those spaces as we are able. Because our new story opens doors to new relationships with those not in our conventional circles. These relationships are essential to building a diverse movement that crosses faiths, sectors and political allegiances. For most of us, most of the time, the way we communicate will be in person with friends, family, and colleagues, and therefore with those who love and trust us. However, increasingly sharing happens online, in the troublesome void where anyone can misread, presume, and comment outside the conventional boundaries of an in-person conversation. Yet it’s also in those spaces where our story has enormous potential to reach magnitudes of people. It’s certainly a scenario of risk-reward. In whatever way you are sharing your story, we invite you to consider the following 7 pointers. They are not exhaustive or perfect, but in our experience, these are 7 quick reminders that will help you effectively share your heart in a way that is heard, even by those who might really disagree with you. 7 Tips to effectively sharing your story! How you are heard is more important than what you want to say. The most effective way to be heard is to be a good listener – ask good questions, be legitimately engaged in order to understand where your listener is: what are their biases? Are they new to the issue? How can I meet them where they are? Take the time to listen. Listening and being heard is obviously harder online, but it is possible and you can model it well. The real unassailable story is the story of your own journey and transformation. While you may want to give voice to your friends’ stories, you are never going to be able to tell their story with accuracy and full impact. So tell the story of how you met people whose example changed you. Similarly, as important as facts are and as much as you try, accept that you do not possess mastery of all of them. The important thing to communicate is your experience, which is hard for people to reject. Focus on the big picture: PEOPLE. Remember there is no future for anyone without a future for everyone, so share stories from both sides! This may be especially important if your Telos experience shattered your worldview and now you wish to fly the flag for the ‘other’ that you used to oppose. We want to avoid implicit bias and being put in an either/or camp that represents a false and destructive binary that has fueled this conflict for too long. Be explicitly pro/pro/pro and model a different and better way of engaging that tells the legitimate narratives of both sides. To both your self and others. We are ALL on a journey. Your audience hasn’t seen and experienced what you’ve seen. They need the opportunity to go on that journey. They need to wrestle, just as you did. And it’s harder if they haven’t yet shared your experience and had the chance to confront their biases head on in the eyes of a child who could be their own. Give them grace to go on that journey and the space to begin it in your communications. Relationship is everything. People are not fodder to be converted on an issue; they are friends and neighbors who are to be loved unconditionally regardless of their theology or opinion on a complex and emotional geopolitical topic. And when they are truly loved by us, they are more likely to see the world as we see it. A good friend of Telos has said that peacemaking might just begin with the three words “Let’s have lunch”. Put relationships first, really care about who you’re talking with, and they might just listen to you. Remember: you are not alone! We are here to guide you as you share your story with others. So please reach out if you have any clarifying questions or would like us to approve any language that will be public. Thank you in advance for all the courageous ways in which you will communicate the impact of the experience you had with us. Download the ‘Why Should I Care?’ PDF here. a. Prior to 2018, the U.S. contributed $400m+ per year in Palestinian development aid. In 2018 this was almost entirely cut. As of 2018, the U.S. contributes more than $3.8b per year in foreign military funding to Israel, making Israel America’s largest recipient of foreign aid money. b.	America’s veto on the U.N. Security Council often prevents international action on the Israeli-Palestinian conflict. For instance, America has consistently vetoed statements and actions that oppose Israeli settlements in the West Bank. c.	The American voice—and in particular the American Christian voice—is loud and, sadly, rarely pro/pro/pro. We have preferred to pick one side over another. a.	Peacemaking is an essential part of the development puzzle. We can spend all the money in the world on aid and economic development, only for it all to be lost the moment violent conflict breaks out. And when it does, it’s often women and children who suffer the most. Peacemaking ensures the long-term success of our development progress. a.	Glimpses of peace in the most complex of circumstances offers hope for our own conflicts. b. There are lessons to be learned from the incredible peacemakers we met. c.	For religious communities, when we help bring healing to places of conflict, we model the purpose, beauty, and glory of our God. a. Every conflict has three sides and America still plays the leading third side role in this conflict, and has done for the last half century. The current status quo is therefore partly our making. And if we were to abdicate responsibility, which nations and powers would we abdicate to? b. If we believe in a more just world, and that, given our power, we have a responsibility to use our resources and influence to bring such a world into existence, then we ought to engage effectively on behalf of peace and justice in Israel/Palestine. c.	Christians must take seriously Christ’s call in Matthew 5:9, and the model of Jesus’ life that brought hope and light to dark places. Some may ask, ‘what’s the point in peacemaking in a world always in conflict?’ But just as there will always be poverty (Matt 26:11), Christians are still called to meet the needs of those in need (Matt 25), and this includes helping to bring peace in places where conflict causes continual suffering. a. Whether you are religious or not, you likely recognize the significance of Israel-Palestine as a land of enormous importance to the three Abrahamic faiths of Judaism, Christianity, and Islam. Jerusalem would simply not contain its beauty if it were not a holy city. Yet one of those voices is in danger of being lost. For many reasons, but in large part due to the conflict, Christians have been leaving the Holy Land in large numbers, particularly in Jerusalem, the West Bank, and Gaza. It will be a sad day when the land no longer sings in all three voices. As citizens in a democracy, our elected officials represent us. The votes they take and the policies they devise are due to the authority we give them. Therefore, it is actually our responsibility to inform our leaders about important subjects in our community and the world. This is especially true when we have gained unique subject knowledge, or had a unique experience that they are unlikely to have had. As a Telos alumnus, this is the unique position you are in. You have seen what many have not. You have made friends with Israelis and Palestinians who have shared and entrusted their stories with you, and have urged you to go and tell others. So why not go and tell the most influential people you can? Is this not simply good stewardship? While many of us may not want to be political, the reality is that politics is simply what happens when two or more people have to make a decision. This is no less true for Israel/Palestine. The United States has long been the most influential third-side in this conflict (see our Why Should I Care? doc for more information about U.S. influence) and therefore, it is essential that our representatives who make policy affecting our friends in Israel/Palestine do so with the full knowledge of our views. It’s our duty to let them know what we’ve seen and where we stand so that they can make an informed decision about how to best represent us. We hope your experience with us led to a powerful internal transformation. But we sincerely hope that transformation also has outward, tangible effects that lead to more light, love, and peace in the world. Sharing your story with your leaders is one of the most effective ways your experience can have broader, positive impact. •	Visit this website and type in your zip-code to find your Representative. •	To find your Senators, go here and scroll down until you find your State. 3. Contact them and don’t be intimidated. It’s our job in a democracy to inform our leaders, and their job to listen and represent us. 4: Do some research beforehand to help you build that relationship. Especially helpful is to know where they stand on issues pertaining to the Israeli-Palestinian conflict, peacemaking, and justice. This is useful information that will enable you to tailor your story to your audience. 5. Craft your message. See our ‘Share Your Story Guide’ for tips on how to communicate your pro/pro/pro message effectively. 6. Be prepared and grateful to meet with a staff member, and not the elected official him/herself. Be prepared for that staff member to be very young and have either an enormous amount of knowledge on the subject at hand, or next to none. Our elected leaders are very busy and it is very unlikely for them to meet with you directly. However, they have a team of overworked and underpaid staff whose job it is to take meetings like yours and represent the office. These young staffers are the ones who advise their bosses on legislation and how to vote. Meeting with them can often be more helpful since they may give you more time and attention than the elected official would. So, whomever you meet, be grateful for their time and treat them with the same respect as you would if you were meeting with your representative directly. 7. Build a relationship! We want to charge you to do advocacy well. To not walk into an office hostile and with a list of demands, but with a humble desire to listen, learn, and understand better. Political offices are used to angry phone calls. Our hope is that pro/pro/pro advocates model their beliefs in their dialogues with those with whom they may disagree. Ask questions. Ask about where the leader currently stands and what concerns they have. Ask how you can support and even pray for them (1Tim 2:1-3). Remember: our elected officials are public servants but more importantly, they are people to be loved and not simply subjects to be converted on an issue. So do what you can to love them, and as you do, they will be more likely to hear your heart in the stories you share and your desire for security, dignity, and freedom for all who live in Israel/Palestine. 8. Be prepared for the long haul. Your representative and their office will not be changed after one letter, phone call, or meeting. It will take time. It will likely take a number of points of contact. Don’t take it personally if they do not respond or do not appear to be moved by your arguments. You are one of thousands of constituents they serve and your message is one of thousands they have to consider. Be patient. At Telos, we are building a movement and, as time goes on, it will strengthen in numbers and influence. So right now, you may be one of a few pro/pro/pro voices your elected leader hears, but we are committed to equipping thousands more like yourself who will eventually come alongside you to amplify your voice. Your advocacy is important now, but it will be just as important five and ten years from now. 9. Let us know! We would not only welcome the opportunity to assist you in framing your dialogues, but it is vital that we follow who in our network is talking to which leaders. This allows us to help you coordinate messages, and enables us to track progress on how individual members are voting and speaking about key bills pertaining to Israel/Palestine. For all of us as citizens in a democracy, it is our duty to engage and concern ourselves with the activities of those elected to represent us. And that includes sharing our experiences in Israel/Palestine and our desire to see pro/pro/pro policies that build towards peace and justice there. We thank you in advance for taking this courageous and disruptive step on behalf of our Israeli and Palestinian friends, and on behalf of a more peaceful and just world.